MR & Associates, LLC is a Limited Liability Company with William A. McLellan and Tod D. Rasmussen being the only shareholders. Bill McLellan works out of the Kingwood, Texas office and Tod Rasmussen operates out of the Boise, Idaho office. William A. McLellan is President of MR & Associates, LLC, a company he found in January 2004 with his partner Tod Rasmussen. Mr. McLellan graduated from the United States Merchant Marine Academy in 1978 with a Bachelor of Science degree in Marine Transportation, a Third Mates License for Any Tonnage on Any Oceans, and an officer’s commission in the United States Naval Reserve. Mr. McLellan sailed in the merchant marine for eight years primarily on supertankers upgrading his license to Chief Mate. He also attained a 1000-ton Master’s License for Freight and Towing Vessels. Mr. McLellan received his juris doctor degree from Tulane University School of Law in 1988 and practiced law with the firm of Chaffe, McCall, Phillips, Toler & Sarpy in their Admiralty section until joining Turnaboat Services, Ltd. in 1991. At Turnaboat, he directed the company’s pollution spill response program and managed the claims office for the 1993 Tampa Bay oil spill. This incident was the first major oil spill in the United States handled under the mandates of OPA 90. 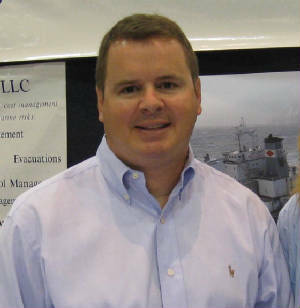 In 1995, Mr. McLellan went to work for GAB Robins Environmental & Marine, Inc. becoming its President in 1997. At GAB, Mr. McLellan directed the company’s claims management and cost auditing operations and, in this capacity, led the company’s response in many major pollution events throughout the United States. At the end of 2003, Mr. McLellan left GAB to start his own company with Tod Rasmussen. At MR, Mr. McLellan continues to focus on properly managing claims and costs relative to pollution events. In December 2005, Mr. McLellan was retained to adjust all third party claims resulting from the M/V SELENDANG AYU grounding and oil spill off of Unalaska in the Aleutian Islands. Mr. McLellan is a member of various maritime organizations, the Maritime Lawyers Association, the Association of Average Adjusters, and the Louisiana State Bar. Mr. McLellan has published articles and given numerous presentations pertinent to third claims management and cost auditing of cleanup expenses relative to pollution events and has been retained as an expert in these fields. Tod D. Rasmussen is Vice President of MR & Associates, LLC, a company he founded in January 2004 with his partner William McLellan. Tod Rasmussen graduated from Hamilton College in 1989 with a Bachelor of Arts degree. After graduation Mr. Rasmussen worked as a teacher at Avon Old Farms School in Avon Connecticut and the in the management consulting division of Deloitte & Touche in Philadelphia, Pennsylvania. 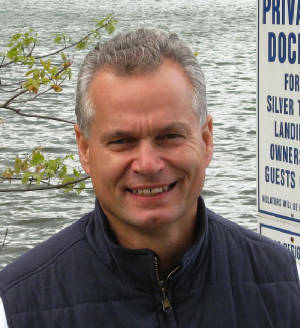 In 1993 Mr. Rasmussen began work at the environmental consulting firm of Residuals Management, Inc. where he served as Project Manager for various environmental remediation projects and Regional Response Manager for emergency response projects throughout the Northwest. While at Residuals Management, Mr. Rasmussen also directed numerous Phase I & II Environmental Site Assessments for commercial property transactions. From 1999 through December 2003, Mr. Rasmussen worked for GAB Robins Environmental & Marine, Inc. At GAB, Mr. Rasmussen managed complex pollution claims and cost audit projects throughout the United States. In December 2003 Mr. Rasmussen left GAB to start his own company with William McLellan. At MR & Associates, LLC, Mr. Rasmussen continues to direct pollution claims, emergency response projects, and work for various law firms on litigation support. Mr. Rasmussen has given presentations to groups regarding remediation cost control and brings over fourteen years of environmental consulting expertise to numerous projects throughout the United States.